Don’t expect to find awesome graphics or great programming lessons to represent huge sets of data. It’s not a technical book from the point of view of a programmer. The book is targeted at a wide range of backgrounds, giving the chance the understand the process of getting data from to presenting it usefully, in a way that can be understood and interacted with. 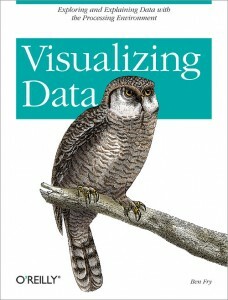 The examples in this book are simple enough to be understood for people with a minimal technical knowledge, and for those who have a solid programming background puts some light on the process of manage a data set in order to be assimilated and interacted, and more important, be able to communicate something with it. Each data has particular display needs, and the purpose for which you are using the data set has just as much of an effect on those need as the data itself. Lots of data is out there, but it’s not being used to its greatest potential because it’s not being visualized as well as it could be. The most important part of understing data is identifying the question that you want to answer.